A new electron spectrometer has been built in collaboration with Prof. Dr. Gregor Schiwietz (Helmholtz Zentrum, Berlin) in the framework of a laserlab colaboration. 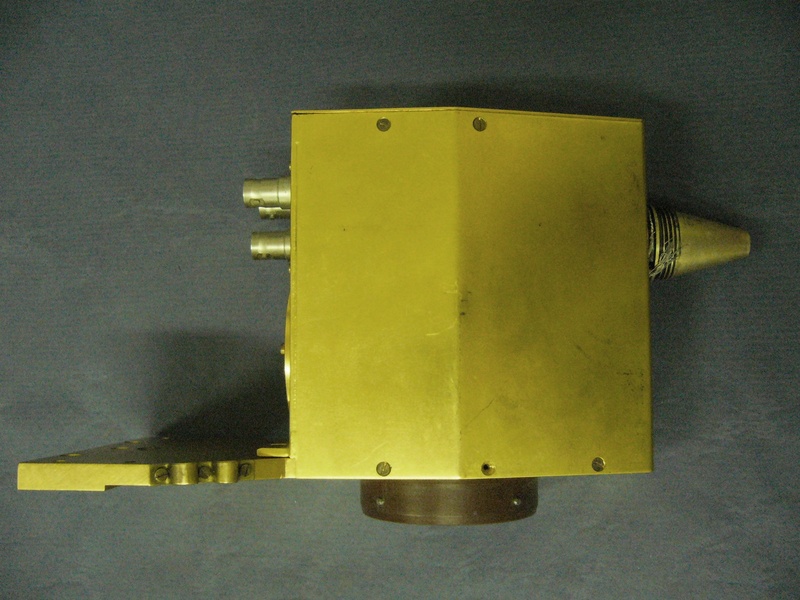 This electrostatic spectrometer (analyzer + detection system) is used to select and detect electrons with an energy ranging from a few hundred eV up to 10keV with a resolution better than 5%. 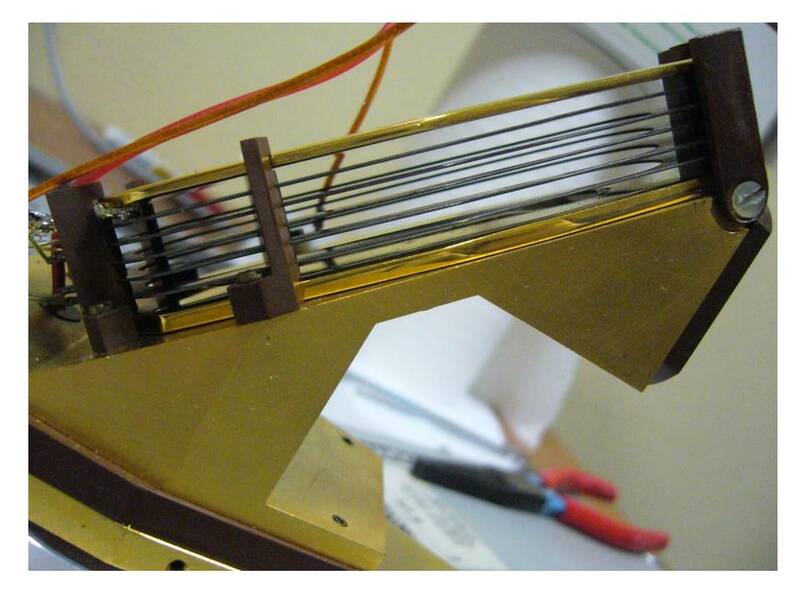 The well-known principle of an electrostatic deflector @90° is used to select the incoming electrons by energy. 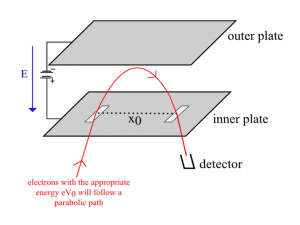 As shown on the figure, the analyzer is made of two plates ; a high voltage is applied across the outer plate. It can be easily demonstrated that the charged particles will follow a parabolic path while within the uniform electric field. From this, we obtain a direct relation between the applied voltage and the energy of the electron which will be able to pass through the slits, thereby reaching the detector. Starting from this “simple” deflector, an analyzer has been optimized in order to increase the resolution and transmission. They are both studied in the group theoretically and experimentally. The detection is performed by either a channeltron or a Z-stack multi-channel plates ; and a home-made electronic circuit record the signal. This type of spectrometer is small in size, easy to build and transport ; so we can mount it as required within our experiments. For example, we are able to detect the Auger electron emitted during an electron-atom collision, or we determine the full energy spectrum of the electrons emitted during the interaction of rare gas clusters with an intense femtosecond laser pulse.